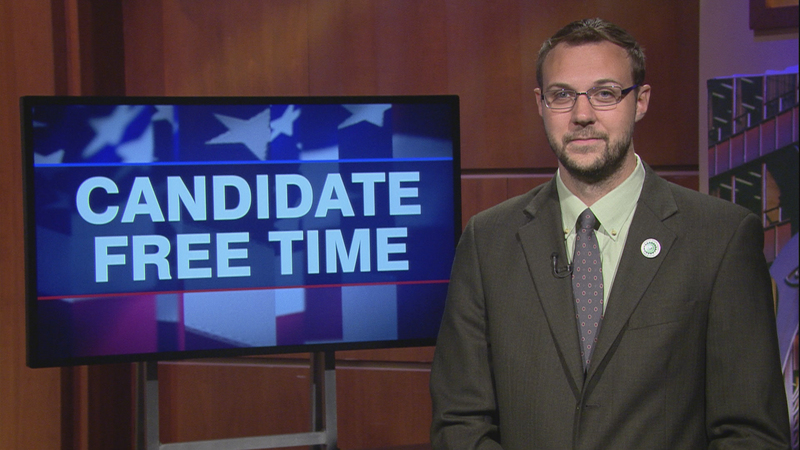 Video: Geoffrey Cubbage tells voters about his platform. Learn more about Candidate Free Time. The MWRD has three core missions: wastewater treatment, flood prevention, and waterway quality testing. I would like to see substantial improvements in all three areas, as well as changes in governance to make the agency more transparent, accountable, and responsive to taxpayers. 1) Third-stage disinfecting treatment at all seven wastewater treatment plants. This is industry standard for modern wastewater treatment. Currently, only two treatment plants have disinfecting treatments, meaning that much of our "treated" discharge is still unsafe for human contact. 2) A shift in infrastructure focus away from tunnels and reservoirs ("Deep Tunnel," etc.) and towards water-absorbing green infrastructure. The more rainwater we can divert and absorb before it hits our sewers, the less street-level flooding and "combined sewer outflows" (overflows of raw sewage mixed with rainwater) we’ll see. The MWRD reported about 2000 CSOs in 2017—that’s a lot of raw sewage hitting our waterways. And finally, this being Cook County, almost everyone we talk to automatically assumes government corruption and favoritism/pay-to-play is happening to a greater or lesser degree. Electing some Greens who are independent of both the Chicago machine and the influence of corporate donations would be a major boost for taxpayer confidence in the MWRD, especially in the wake of the former Executive Director’s abrupt resignation under investigation and the current Commissioners’ granting of a $95,000 severance package and refusal to disclose any details of the investigation. Hi there, my name is Geoffrey Cubbage. I’m an analyst and project oversight report writer based here in Chicago, and I’m a candidate on your ballots this year for a two-year Commissioner term at the Metropolitan Water Reclamation District. and #3, do we trust the MWRD to handle problems in a way that’s transparent, accountable, and fiscally responsible? I chose to run for Commissioner because I don’t see confidence in Cook County on any of those three points. We know our water isn’t as clean as it should be -- only two of our seven wastewater treatment plants even use an industry-standard third-stage disinfectant treatment. We also know that raw, untreated sewage is getting dumped into the waterways once every six days, on average. And with lead contamination in the drinking water a serious concern right now, we can look back at years of MWRD data that showed high lead levels flowing downstream, and ask "why didn’t this prompt an investigation sooner? Why wasn’t this the canary in the coal mine?" I also believe responsible leadership at the MWRD has to include a hard look at how the District pays for its projects. Right now, more than half of the district’s contract spending goes directly to businesses that made campaign contributions to the current Commissioners. Those businesses took in more than 700 million dollars in taxpayer-funded contracts over the past five years alone. Green Party candidates like myself take no corporate donations, and I think for voters who are tired of seeing pay-to-play in Chicago politics, that’s a very welcome change. So I’m encouraging everyone watching this to vote for the full slate of Green Party candidates for the Metropolitan Water Reclamation District, including myself, Geoffrey Cubbage, for a two-year term. You can find out more about us, our campaign, and the issues at MWRD-ILGP.org, and if you’d like to leave a donation while you’re there, you can certainly do that too. Thank you very much, and vote Green on November 6th!